Contrasts show the far extremes. They show the difference; an attempt to understand right from wrong through black and white sides. It’s the first step of understanding the nuance and opportunity of gray, the first opportunity for finesse. In the middle ground of gray, change is possible; adding a shade of this and a tone of that, until the result is a full rainbow of a horse. ← Contact: Holding hands with horses. I’m starting to want to buy your photo’s and blow them up! that big old lovely head would look nice on my wall. Do you sell them Anna? Also, I begin volunteering with retired thoroughbred racing horses. FTRAC. florida Thoroghbred Retirement and adoptive Care. 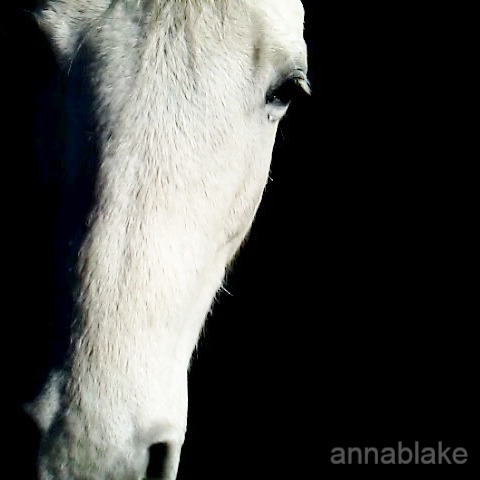 I will be reading your blogs to learn some about behaviour, mine and the horses! there are about 90 and they are full. although at first I will just be scrubbing water buckets and such as I havn’t been around horses for 37 years! I will reread and reread calming signals no doubt as the owner let me know they are not always friendly. So glad to hear you are volunteering. So many rescues need help, even with buckets! And you still get to get dirty!! !